Fri., Oct. 19, 2018, 2:58 p.m.
There’s a new face of Ford Motor Co. 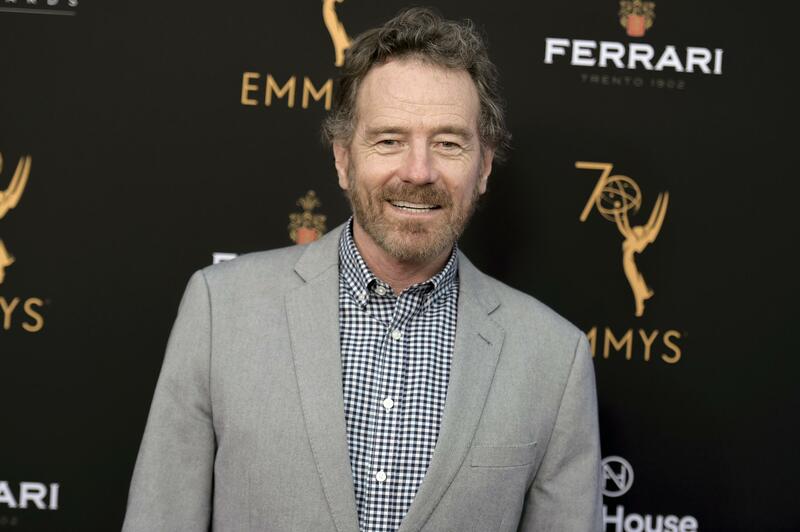 The automaker struggling with fading fortunes and a sinking stock is seeking to get its swagger back with a series of ads debuting this weekend featuring Bryan Cranston, the star of the award-winning series “Breaking Bad,” and his wry, no-nonsense demeanor. Using the slogan “Built Ford Proud,” the commercials push back on the popular notion that Silicon Valley is on the verge of delivering driverless and flying cars. A commercial for the Escape sport utility vehicle takes a not-so-subtle shot at Tesla. While the compact crossover has never been shot into space, as Elon Musk’s Roadster was earlier this year, it “proudly sits in over 2 million garages,” Cranston says in a craggy baritone. Ford has failed to keep today’s models fresh and floundered in its attempts to get Wall Street interested in its plans to shape the future of transportation. Morgan Stanley downgraded the shares Friday to the equivalent of a hold, expressing skepticism about its turnaround strategy. After profit fell by more than half in the second quarter, Chief Executive Officer Jim Hackett announced an $11 billion restructuring that will take as long as five years. Moody’s Investors Service has cut the carmaker’s credit rating to one level above junk. Its stock trades at the lowest since November 2009. Ford fell as much as 3.8 percent Friday and was down 0.9 percent to $8.43 as of at 10:27 a.m. in New York trading. The shares have been trading at their lowest since November 2009. Whereas fans of the AMC series “Breaking Bad” might see Walter White, the meth-dealing high school chemistry teacher who drove a beat-up Pontiac Aztek and ominously warned “I’m the one who knocks,” Ford sees Cranston, 62, as an authentic voice who can change minds about where the company is heading. Ford is lagging behind Alphabet Inc.’s Waymo and General Motors in putting driverless cars on the road. Waymo, formerly Google’s self-driving car project, plans to deploy robo-taxis in Phoenix this year, while GM intends to begin a similar service in the U.S. next year. Ford has said it’ll have a money-making business involving robot rides ready for 2021. While the ads nod to Ford’s ambition to field driverless cars and tackle urban congestion, they mostly focus on new models arriving next year: a rugged Ranger pickup and redesigned versions of its two top-selling SUVs, the Escape and Explorer. Seventy-five percent of its models will be new by 2020. The ads are aimed at keeping Ford’s millions of long-time customers in the fold. As the automaker has struggled and its lineup has aged, customer loyalty began to slip, Farley said. “When you have a moment like we’ve had as a company, you’ve got to look in the mirror and say, ‘What can we change to make it better?’ And it was a long list,” Farley said. “It all added up to the same thing: We’ve got to get serious about loyalty. The biggest ah-ha moment was when we saw our lead shrinking” in customer loyalty. Even before the new products arrive, Ford is finding ways to squeeze more profit out of its existing lineup by focusing on each model as its own business, Farley said. Moves like better allocating vehicles to geographic areas that’ll yield the biggest bucks will start making a difference to earnings in the coming quarters, he predicted. Published: Oct. 19, 2018, 2:58 p.m.